MZA Planning are happy to announce the success of another case of ours, which involves a planning application for an outbuilding. 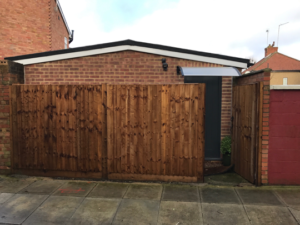 Our client was interested in altering and using the outbuilding in her rear garden for business purposes. The team set out to achieve a good result by arguing that the development doesn’t impose on the neighbouring dwellings, and the changes to it have increased its visual attractiveness which makes it look more similar to the properties it is adjacent to. Additionally, it was argued that the level of activity wouldn’t be harmful to the residential character of the area. Following the preparation of a Design & Access statement, along with drawings to accompany the application, MZA were able to achieve a successful outcome and present the client with a satisfactory result!